Treat yourself to a serene mountain retreat while marveling at the Spanish colonial-inspired architecture of the entire resort. 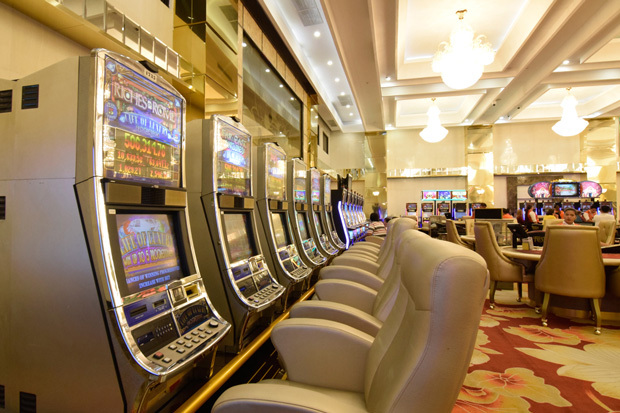 At the east of the metro, Thunderbird Resorts & Casinos - Rizal is just an hour's drive away from Manila. 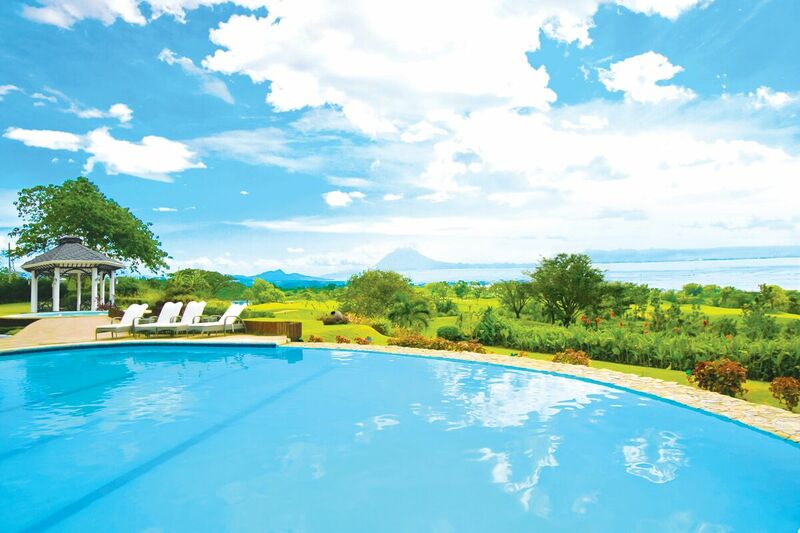 A stay here goes beyond fulfilling the need to calm the mind and soothe the senses. 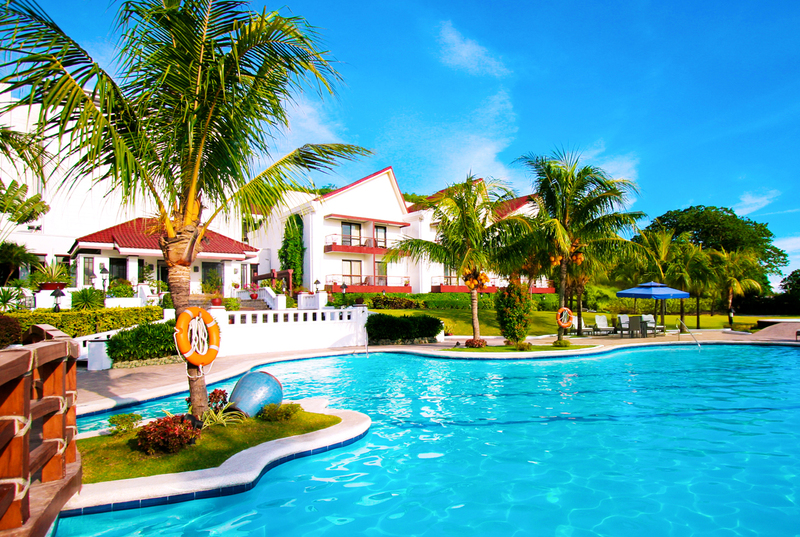 At Thunderbird Resort Rizal, it’s all about discovering a destination where life begins anew and holiday experiences are cherished long after your vacation has come to pass. Set about 210 feet above sea level is a complex of Spanish Colonial architecture, embraced by verdant foliage and spectacular views. This idyllic sanctuary located approximately an hour’s drive from Manila boasts stylish rooms with air-conditioning, LED TV with cable channels, a mini-bar, and Wi-Fi Internet access. 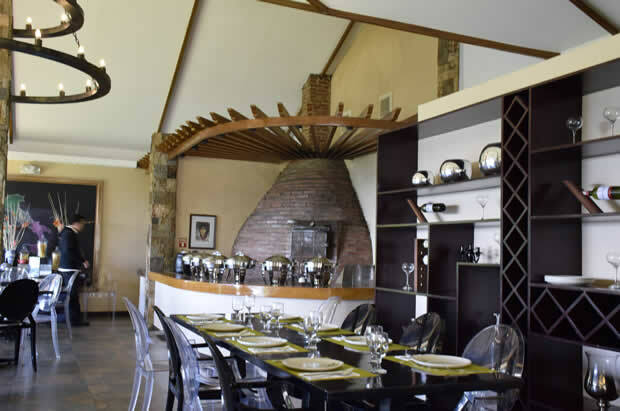 Select lodgings have separate living and dining areas, as well as a kitchenette. 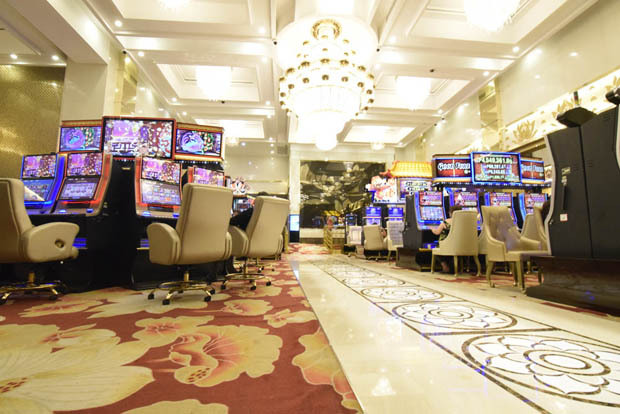 But the main highlight of the resort is the scenery that you can enjoy from the room — of Laguna de Bay in the morning and the Manila skyline at night. Go east of the metro, opposite the flow of traffic, and discover a place where you can stretch, unwind, and be at ease. Bask in pampering treatments at Zaphira Spa. Take a dip at the swimming pool while soaking up the views of the stunning environs. Taste gustatory delights at Olives Restaurant or Cabana Bar. But if you want a bit of sporty action and fun, Thunderbird Rizal has that, too. There is an archery range and open-air paintball grounds on site, and a golf course is found just a short distance from the resort proper. 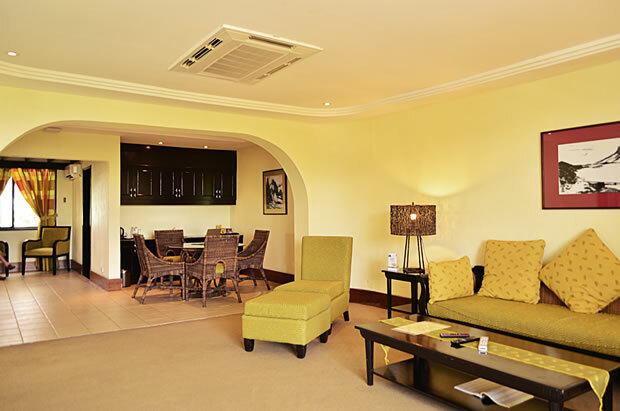 Thunderbird Rizal ups the ante in giving you a satisfying stay, whether here for diversions or simply wanting to relax. 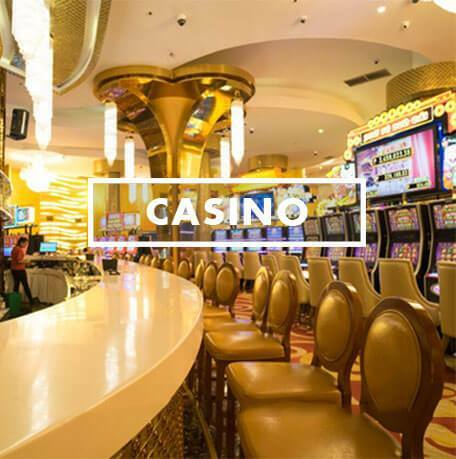 The world-class casino boasts a number of gaming tables and playing machines, offering endless enjoyments to high rollers and casual players. But it’s not only there that guests get an upper hand at pleasure. 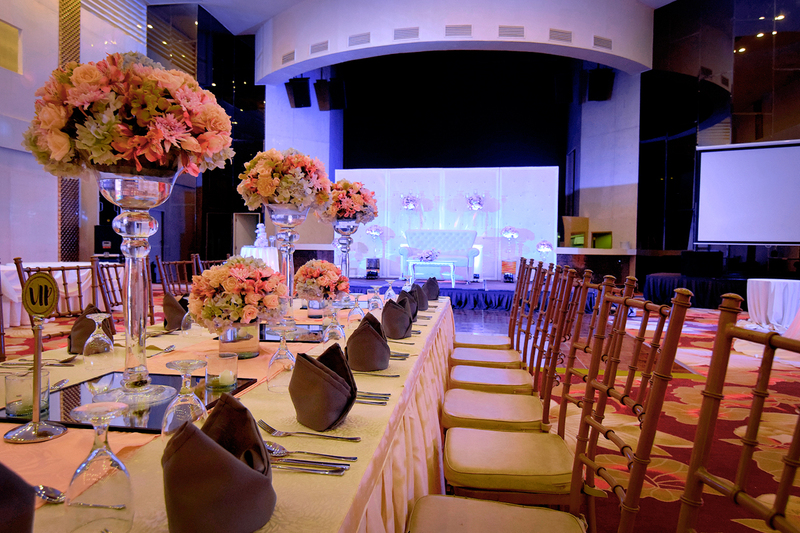 We can also make your life events memorable by our state of the art function rooms. 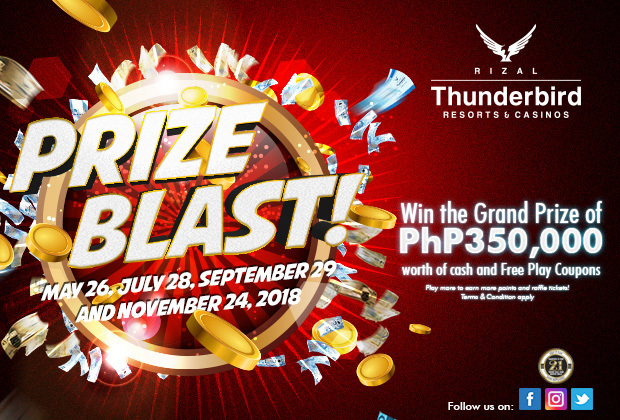 Moreover, the resort’s exclusive packages and promos allow you to experience a stay that’s filled with great value, it’s like you’ve hit the jackpot when booking at Thunderbird Rizal. 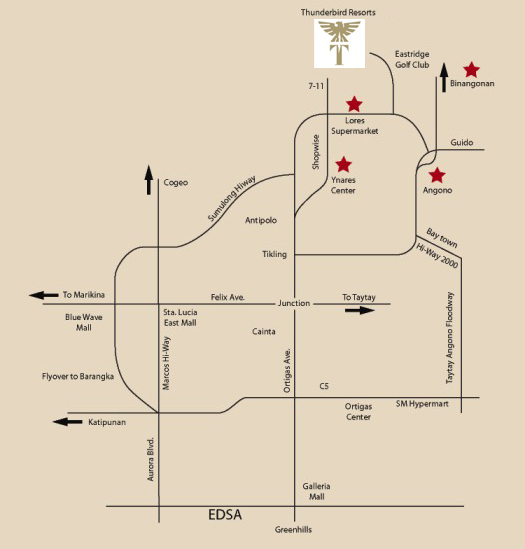 Alternatively, you can opt to take the Manila East Road from Ortigas Avenue Extension and proceed to Eastridge Avenue. You will pass by the Eastridge Golf Course to Thunderbird Resort Rizal in Binangonan.